With TV and the internet it is easy to follow many different sporting teams. This was the case on a recent order for Harry, with the ‘victim’ following several different sports. Coordinator Matt liaised with the client and came up with a great scenario that encompassed all four activities, even including identifiable aspects for the favorite teams. 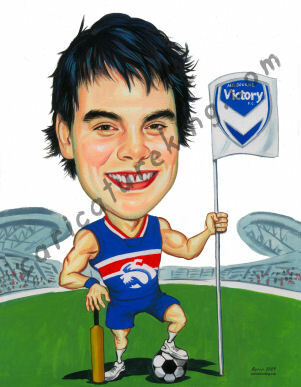 As you can see, this full body with props and background caricature by artist Harry came out superbly. The image was then sent to our framing partner for professional framing and delivery. 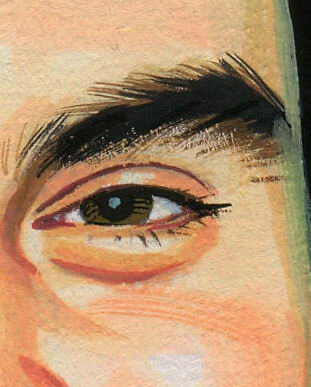 I also include here a close-up of part of the face, showing the great detail.